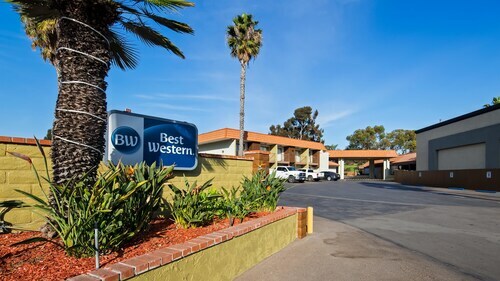 Easily accessed from I-5, this Oceanside motel is a half-mile (1 kilometer) from the beach and the Oceanside Pier. Camp Pendleton is 1 mile (1.6 kilometers) away. 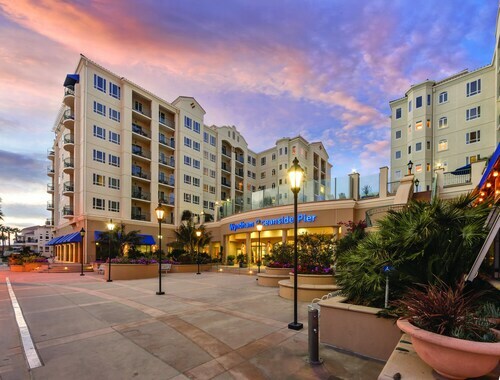 Legoland California is 7.5 miles (12 kilometers) away. 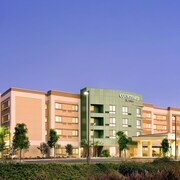 Situated in Oceanside, this hotel is 2 mi (3.2 km) from Mission San Luis Rey Church and 2.8 mi (4.6 km) from Oceanside Pier. SoCal Sports Complex and California Surf Museum are also within 3 mi (5 km). 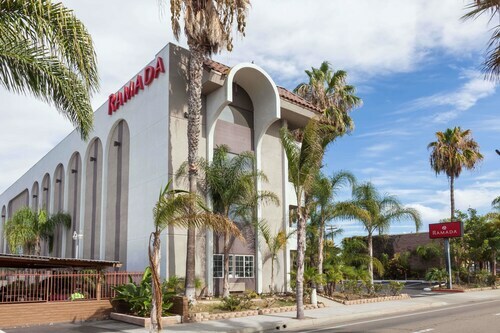 Situated in Oceanside, this hotel is within 1 mi (2 km) of California Surf Museum and Oceanside Pier. Camp Pendleton Marine Corps Base and Oceanside Harbor are also within 3 mi (5 km). Oceanside Transit Center is 20 minutes by foot. 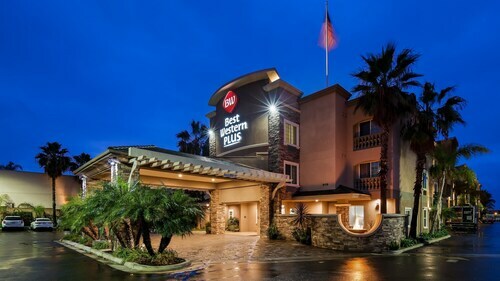 Situated near the beach, this hotel is within a 15-minute walk of Oceanside Harbor and Camp Pendleton Marine Corps Base. Oceanside Pier is 1.2 mi (1.9 km) away. Oceanside Transit Center is 27 minutes by foot. 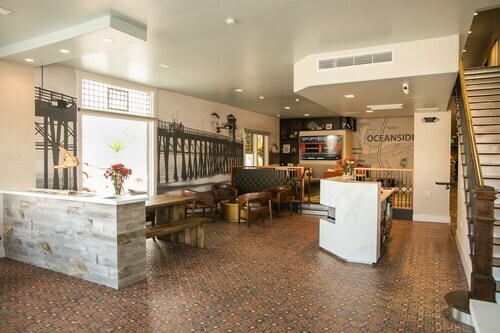 Offering direct access to the beach, this Oceanside hotel is within 1 mi (2 km) of California Surf Museum and Oceanside Pier. Camp Pendleton Marine Corps Base and Oceanside Harbor are also within 2 mi (3 km). Oceanside Transit Center is 9 minutes by foot. 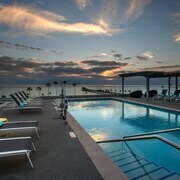 Located in the heart of Oceanside, this hotel is within a 15-minute walk of California Surf Museum and Oceanside Pier. Camp Pendleton Marine Corps Base and Oceanside Harbor are also within 1 mi (2 km). Oceanside Transit Center is 17 minutes by foot. Welcome! When the wheels hit the tarmac at Oceanside Airport (OCN), you'll be happy that you planned your Oceanside vacation with Travelocity. 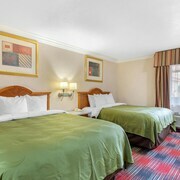 If the idea of sleeping on the cold floor at the airport doesn't thrill you, reserve a room at the Super 8 Oceanside. As there aren't any hotels on the terminal's doorstep, this nearby property is your best option, and they offer 24-hour concierge. 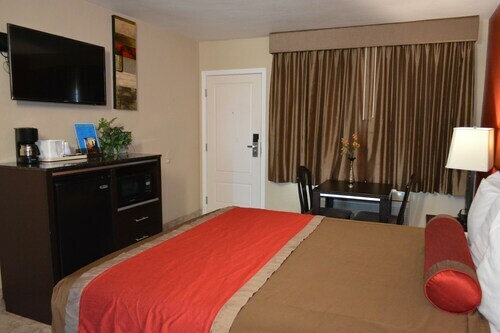 You can get a taste of the area while remaining close to the airport by reserving a room in a local neighborhood. 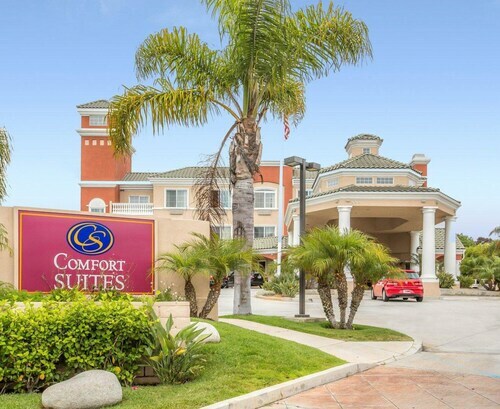 Head to Camp Pendleton South, where the Holiday Inn Oceanside Camp Pendleton Area and the Oceanside Marina Suites are just two of the 13 establishments you can choose from. 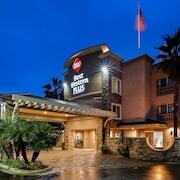 If you're at the airport and would like to get outside, organize a visit to Legoland California. 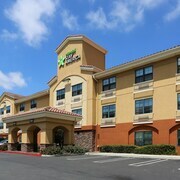 It's situated just 7 miles (11 kilometers) away. So what are you waiting for? 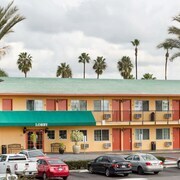 Get your Oceanside Airport hotel taken care of so that you can focus on simply enjoying your adventure. They were so sweet and very chill! 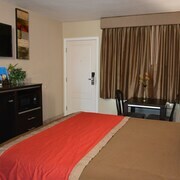 Let our friends come and hang out with us in our room before a night out. Told us to have fun! Can’t wait to go back! 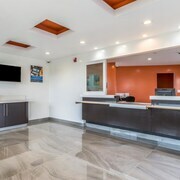 It was clean, easy to get to and the staff was very nice and helpful. Super Cute Cottage Walking Distance to the Beach!